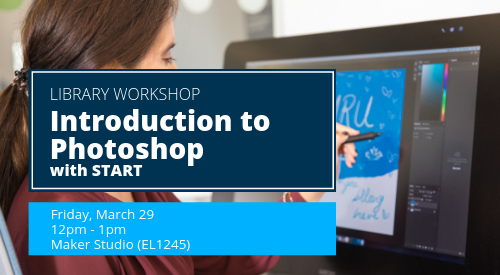 Learn the basics of Adobe Photoshop with the help of START. Join us for a 1-hour, hands-on workshop on image correction and crucial adjstments to image setting to make pictures stand out and make an impression. Participants will leave the workshop with a strong foundation to get started on projects. No experience necessary.